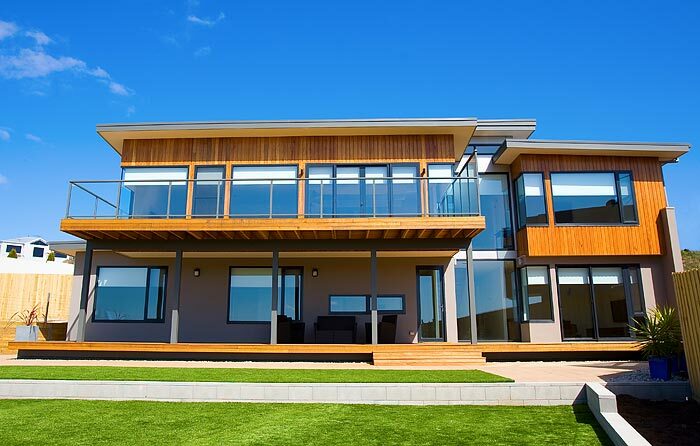 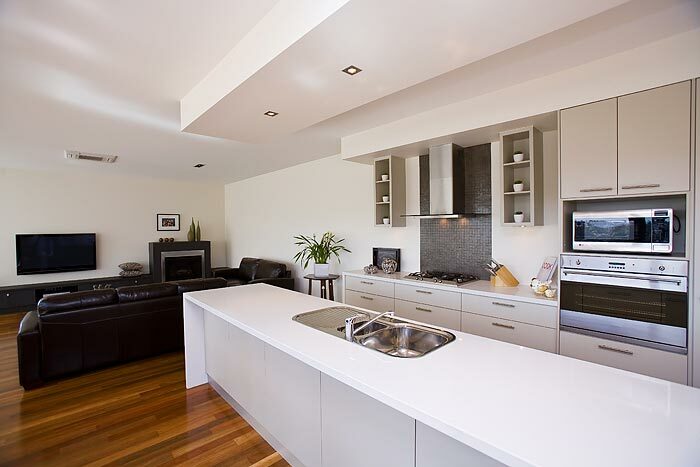 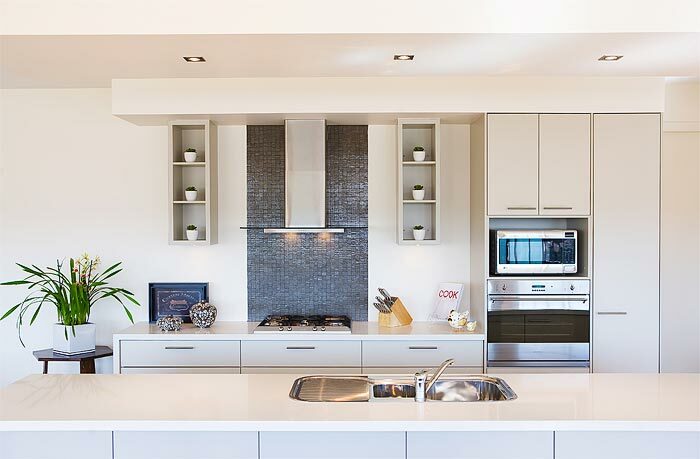 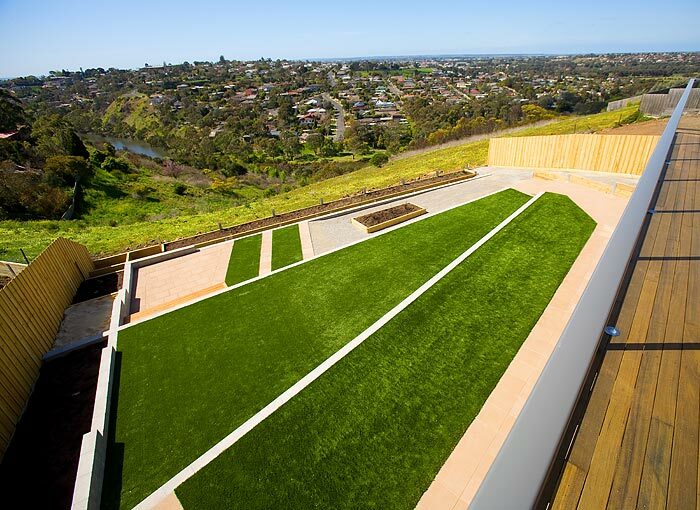 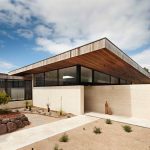 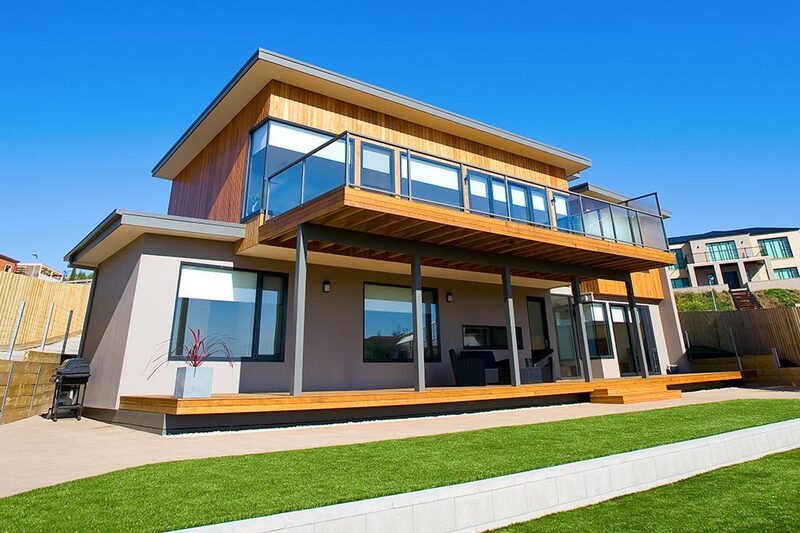 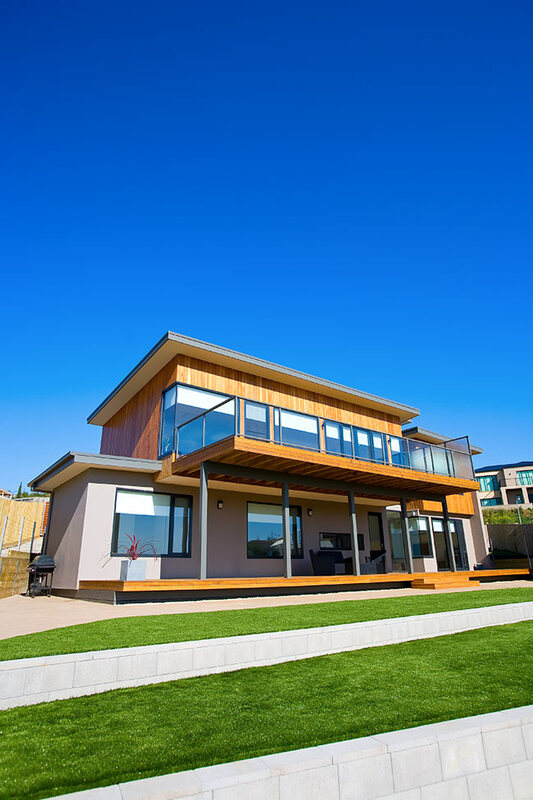 Designed around a very steep exposed site on the Barwon River the client’s brief was to design and build a home that took in the panoramic views while also providing more traditional aspects of a family home such as a sewing room and home office. 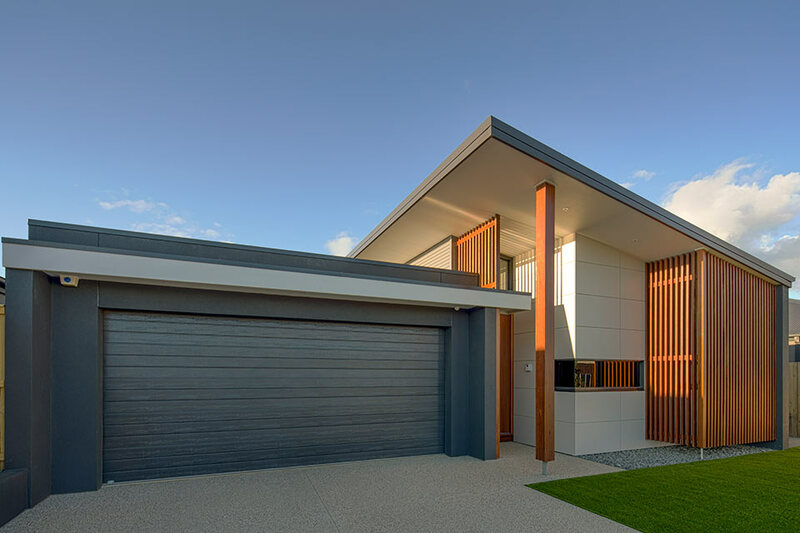 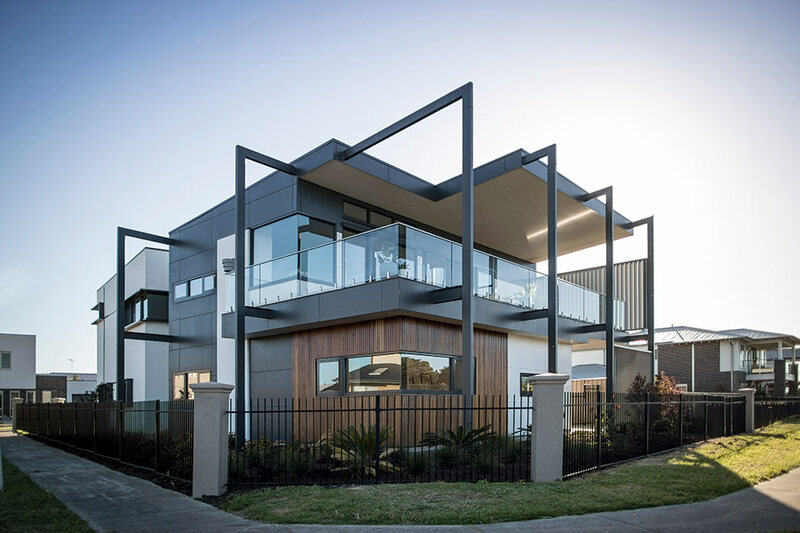 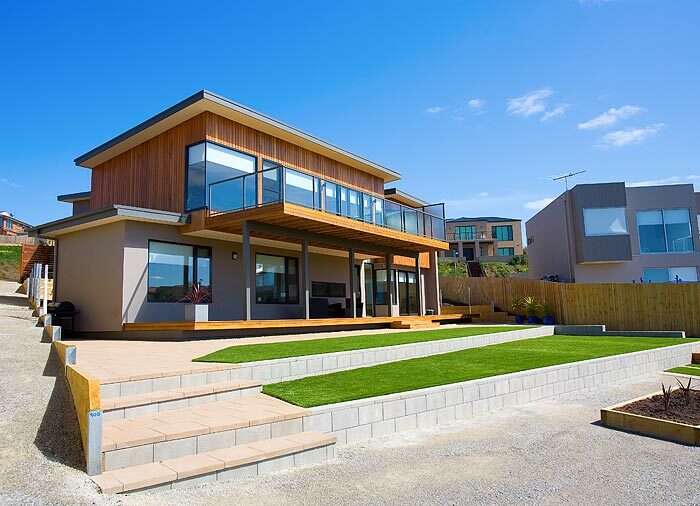 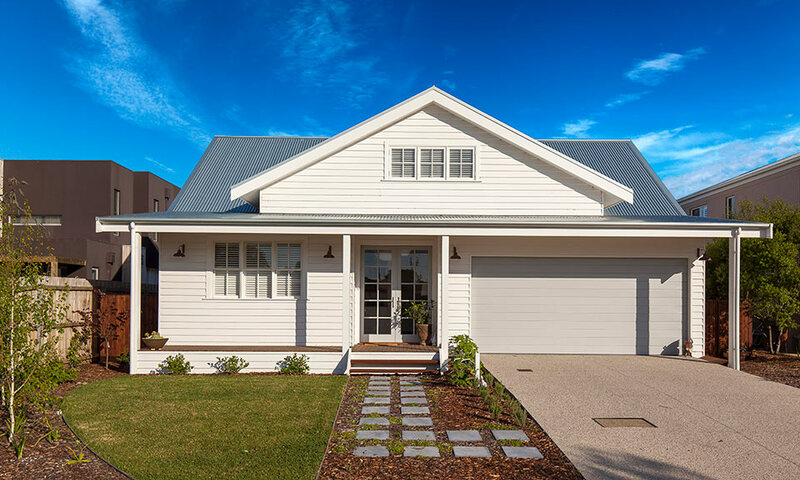 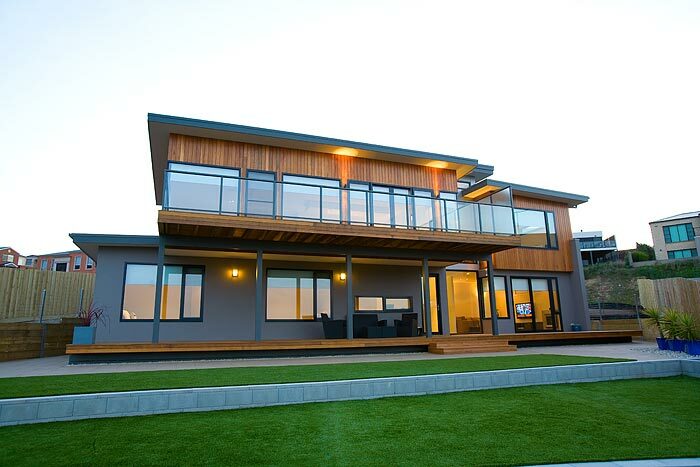 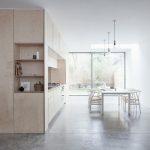 The owners chose natural timber cladding for the second story with a grey painted render on the lower story which blended the home into the steep hill. 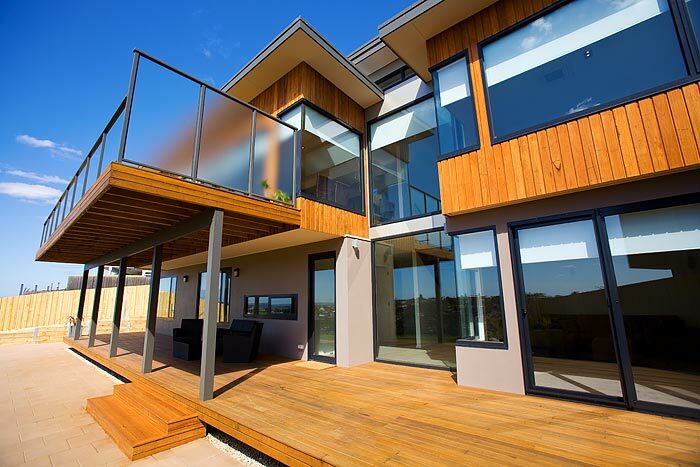 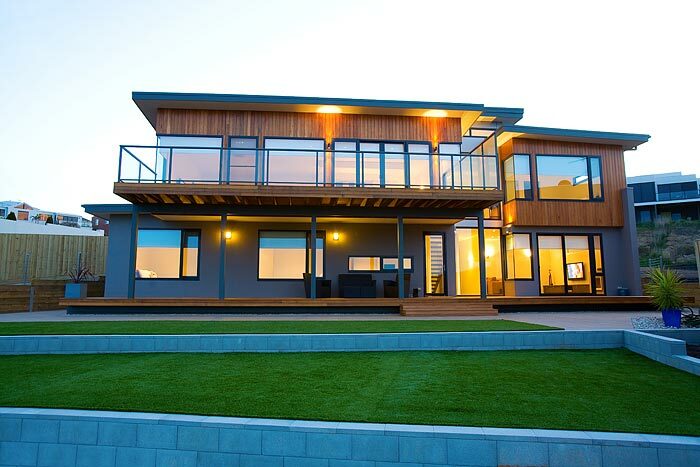 Large windows open onto a huge balcony which creates an indoor outdoor living area. 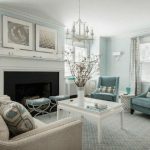 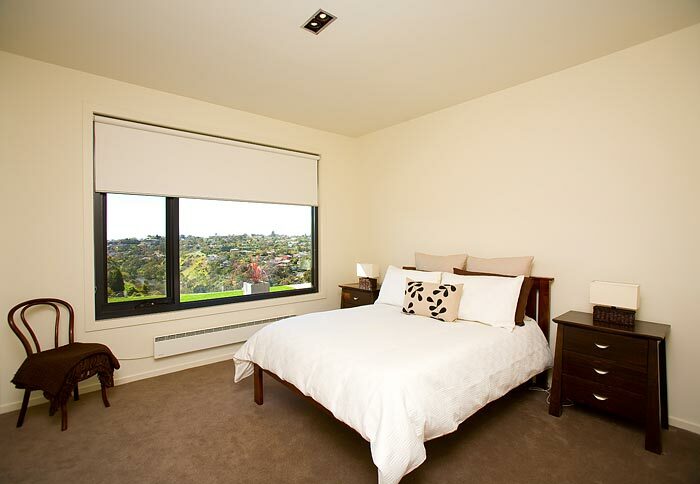 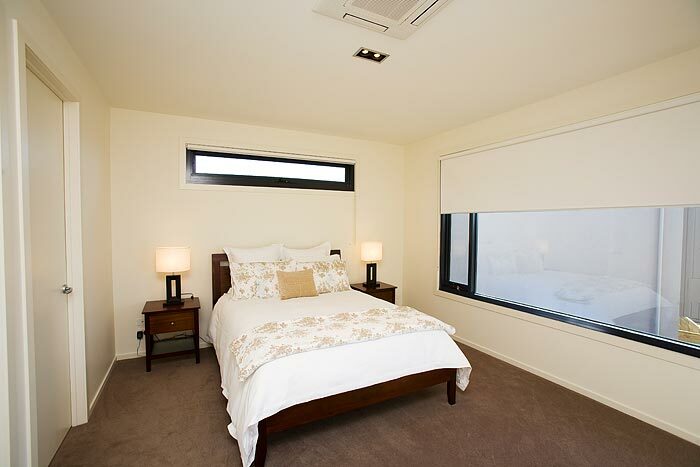 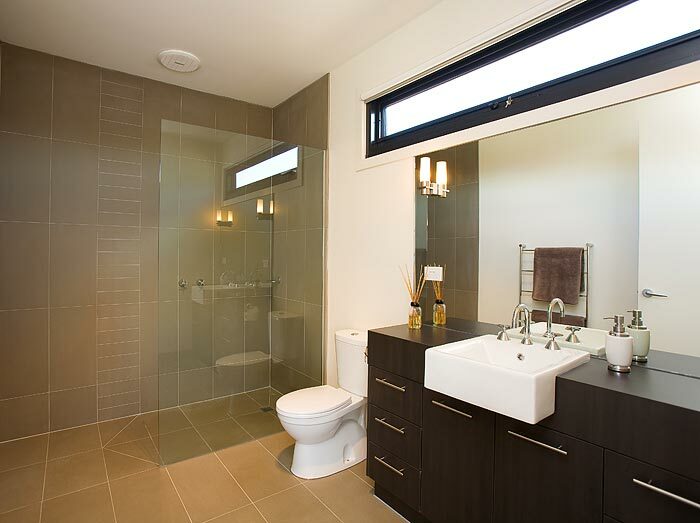 The home features a spacious main bedroom suite complete with ensuite and walk in robe. 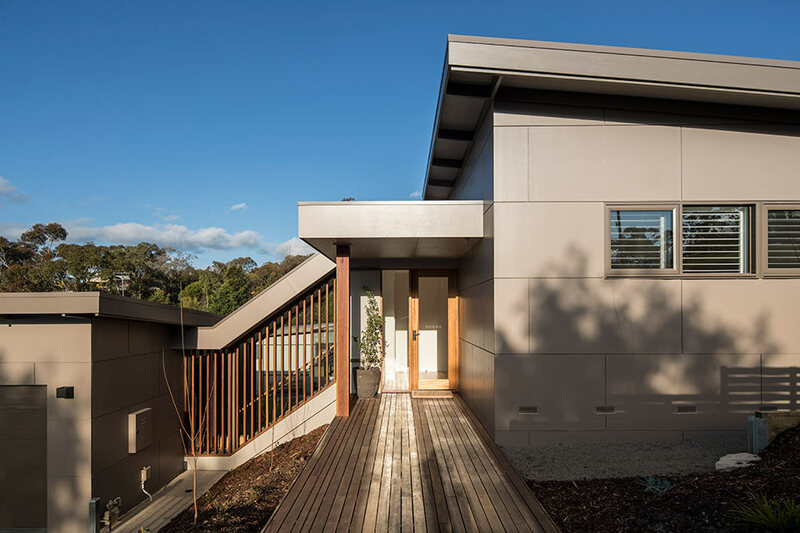 The internal staircase is a feature of the home with its open tread spotted gum stairs and railing. 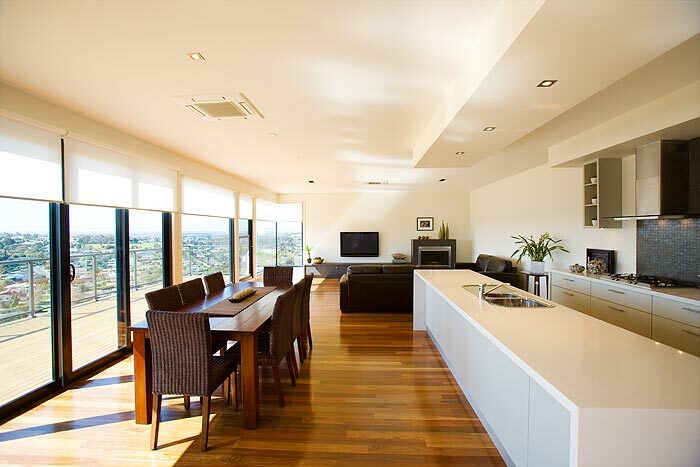 Light filters in through high horizontal windows and a vertical glass two story wall.